I am the proud owner of a beautiful African grey Smokey who I have had to foster out as his dust was affecting my husbands copd. Has anybody else who has copd and keeps a parrot any tips please? An air purifier can help with the dust. I have got one and it removes a lot (but not all) of the dust. Beaker gets a weekly "air bath". What is an air bath please? Beaker just got done with his air bath today. Ooh that looks a bit barbaric to me. Ya know what? You asked and I don't appreciate the rude remark. If an AG doesn't want to do something they will let you know. You should be so lucky to have a relationship like I have with Beaker. Sorry beaker trout, didn't mean to offend. Yes it's true, Beaker is so very trusting and enjoys his air bath. He knows that Lynden would never, ever hurt him. His plumage is so beautiful and vibrant. Frequent baths will also help keep the dust to a minimum. 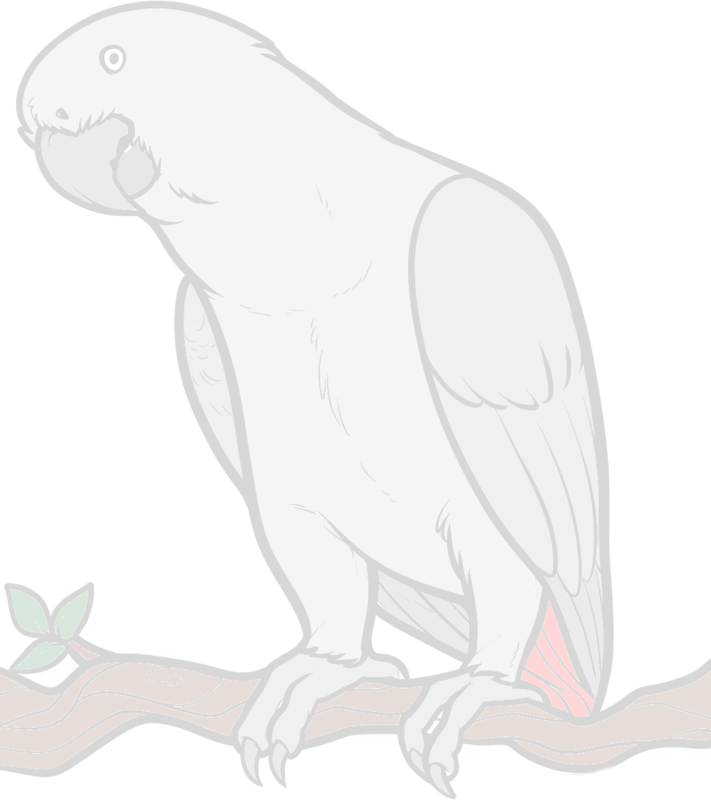 You mentioned that you fostered out your African Grey, does that mean that someone else is now taking care of your grey? Yes Smokey is being fostered out to a lovely parrot loving family for 6months to see if it is Smokey's dust making my husbands illness worse. I am absolutely heartbroken but have to put my husbands health first. I have regular photos, videos and up keeps on how he is doing. I could go and visit him but don't think it would be fair on Smokey as he might think he is coming home with me like he does when we pick him up on return from holidays. I have had Smokey from a 4month old hand reared baby and I can do anything with him so I miss him like crazy as all you parrot owners will understand.